Artificial intelligence (AI), as a recruitment tool, has been rapidly rising and revolutionizing the recruiting process. 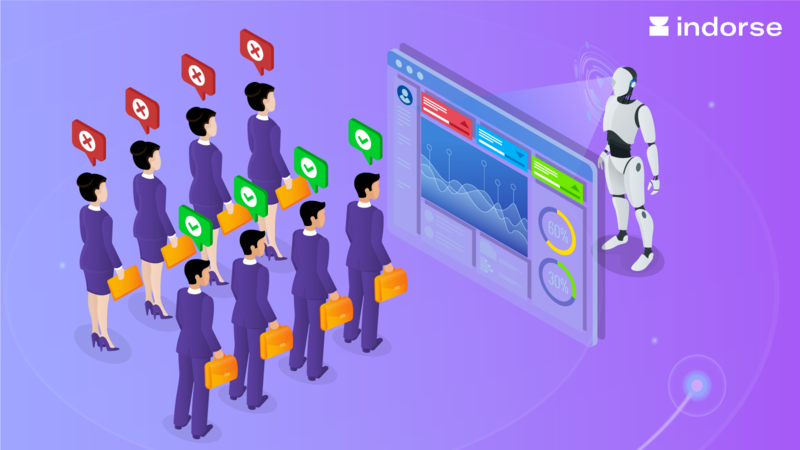 Similarly to sales representatives and marketers that had profited from automation tools such as HubSpot and Salesforce, recruiters are now progressively turning to AI for hiring talents. Today, the recruitment automation scene incorporates approximately 70 different types of tools such as Gusto, Culture Amp, Luminoso, Smashfly, BreezyHR, and more. Far from having reached our human cognitive abilities, the potential of AI-based tools in the recruitment process appears to be huge. So, will AI contribute to a higher level of success for recruiters? Screening resumes and shortlisting candidates is one of the most tedious processes in recruiting. Entelo’s 2018 recruiting trends report revealed that hiring managers spend an average of 12 to 13 hours a week to source candidates for a single position! AI’s capacity to break down and analyze big data enables recruiters to filter and shortlist candidates in a much faster and effective way. Other than automating tedious and monotonous tasks, some AI tools enable recruiters to better grasp a candidate’s actual skills. For instance, Vervoe is a platform which is focused on immersive skill testing for positions such as sales development, customer service, and more. There are also some AI-based tools such as Talytica that looks for emotional cues by analyzing a candidate’s voice from a recorded phone interview. Quality of hire has become another important factor in recruiting. It measures the value employees bring to your company. This includes metrics such as retention, cultural fit, management abilities, etc. In a survey conducted by SHRM, 23% of companies mentioned the quality of hire as a priority when it comes to hiring. Also according to the survey, companies’ focus on the quality of hire is steadily increasing over the years. AI enhances the capacity to understand a candidate’s skills and experience based on the data it receives. The first step is to consolidate different data sources such as the candidate’s experience, skills, and results from assignments. 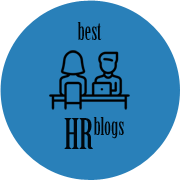 Once this is done, the system runs a comparison with the candidate’s on-job performance and attribution to provide recruiters a better insight on the quality of hire. With the help of AI-based tools, recruiters can look forward to spending less time on monotonous tasks while increasing their focus on metrics like quality of hire. AI is also advantageous for the candidates. For example, AI-based chatbots are taking out the ‘downtime’ between a candidate and the recruiter. With a high volume of applicants for a limited number of positions, it is time consuming to send out a message manually to each candidate and follow-up. This is where chatbots come in handy. Chatbots can converse with candidates and answer to some of their questions. There are also some advanced chatbots such as Mya that goes beyond a conversation with candidates by analysing their responses using Natural Language Processing. This enables them to evaluate whether a candidate demonstrates the required skills. It is also able to provide hiring managers with an analysis of whether the candidate is suitable for the position. 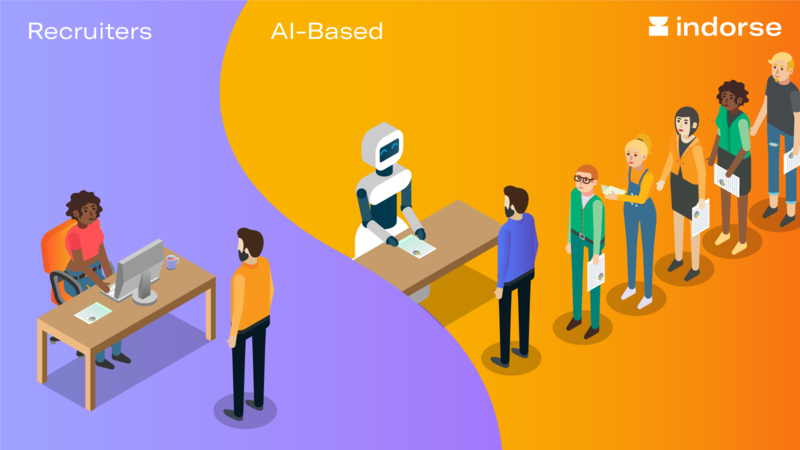 Another example will be Impress.ai which engages in effective conversation with candidates using Natural Language Processing and then shares shortlisted candidate profiles, along with assessment scores and interview transcripts. Artificial Intelligence for recruitment guarantees to diminish oblivious inclination by disregarding data, for example, a candidate’s age, ethnic background and/or gender. Nonetheless, AI tools are designed to analyse patterns. If the data is biased and if the algorithm is not programmed to exclude some patterns, then it will incorporate the biased database altogether without any neutrality and fairness. The most striking example is Amazon’s AI system. This specific system is used by Amazon to accelerate and automate the search for top talents. Recently, however, the team working on this AI-based tool revealed that it was biased against women applicants! The reason? Amazon’s AI system was trained to learn from resumes submitted over a 10-year-long period. Thus, it was building patterns based on past biases. The result was a top-notch AI system that taught itself that male candidates were more suitable. In short, Amazon’s AI experiment outlined the importance of “algorithmic fairness”. The potential is huge, but machine learning systems are not yet ready to take these kinds of decisions on their own. Most AI-based tools are still on a learning phase, or more specifically on a data learning curve. For example, some candidate screening systems may neglect to filter candidates essentially because of the writing format used in their resumes. Candidates who realise how an Application Tracking System works can easily include keywords and trick the system into identifying them as a good fit for the relevant position. At the same time, applicants who would be a good fit can be dismissed, either because they aren’t aware of how keywords work, or the keywords themselves were poorly set. An article in Time magazine also specified how Application Tracking Systems neglect resumes in PDF, with graphics or based on the alignment of headers and footers, etc. Since these systems are shortlisting resumes on a YES/NO scenario based on pre-defined factors such as keywords, formats, etc., the reliability of AI-based tools for candidate screening is still an issue. Some AI-based tools are also trying to use algorithms to predict a candidate’s personality, experience, and skills. These typically include data extracted from Facebook profiles, Tweets, LinkedIn comments, etc. However, with these tools, if a candidate applies for a tech position and has no data related to tech on their social media profiles, the system will automatically downgrade them. With social hiring trends on the rise, this can definitely cause a misconception of the candidate’s ability and personality. In other words, the possibilities of screening candidates based on keywords or social media presence might not be relevant to the set of skills or personality they require for the job. Artificial Intelligence is here to stay. The strongest added value appears to be the screening of candidates from large pools of applicants. However, hiring managers are still skeptical about using AI-based tools for the recruitment function. Some consider these tools as being insufficient for quality recruitment processes, others fear that they may be supplanted by these. In any case, the “AI drift” is one of the Top 5 Recruiting Trends in HR and is slowly reshaping the hiring process. This post is sponsored by Indorse. They believe that the solution for an effective and modern recruitment process is a mixture of Human Intelligence & Artificial Intelligence. The Indorse platform offers both AI chatbots and human experts to spot your ideal developer. 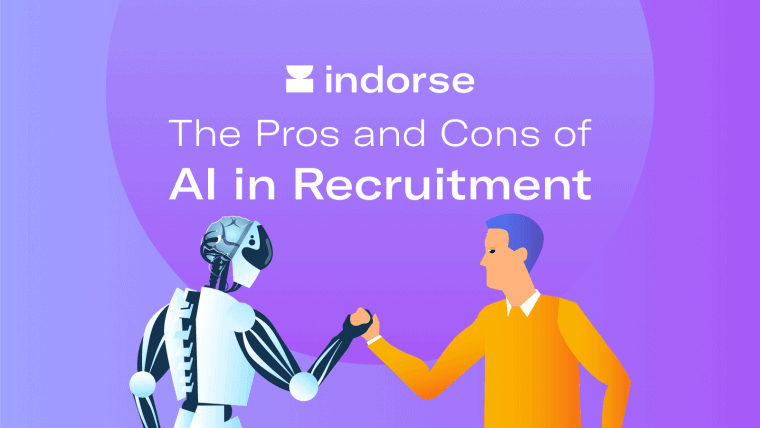 With Indorse your candidates will be given the possibility to interact with our chatbots and/or have their coding skills evaluated by a pool of 10 expert programmers. At the end of this process, you will receive an in-depth report based on the insights from the AI chatbots and the expert programmers.